Multiple sclerosis (MS) is an inflammatory disease of unknown etiology involving the central nervous system. Certain clinical manifestations affect the oro-facial region. Three in particular should be of interest to the dentist: trigeminal neuralgia, sensory neuropathy of the trigeminal nerve and facial palsy. The aim of this study was to determine the oral health status, the frequency of subjective symptoms and temporomandibular disorders (TMD) subtype according to Research diagnostic criteria for temporomandibular disorders (RDC/TMD) among MS patients. 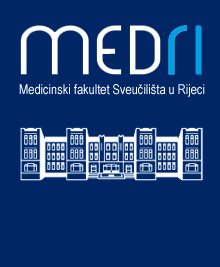 Examinees in this study were 50 patients suffering from MS, who were at least once treated during their disease in the Clinic Hospital Center, Rijeka, Clinic for Neurology. All examinees had to meet the diagnostic criteria for clinically and laboratory confirmed MS, according to Poser. The results show the difference in mean DMFT (decayed, missing, filled teeth) between MS and the control group. The number of decayed and missing teeth was higher, but the number of filled teeth was significantly lower in MS group. Eighty-two per cent of the subjects with MS had a least one symptom of dysfunction compared with 24% of the subjects in the healthy control group. In the present study, pain, the pain during mouth opening, the difficulty with mouth opening and temporomandibular joint (TMJ) sounds were more commonly reported in the MS group than in the control group. This study shows a statistically significant excess of dental caries and temporomandibular disorders among MS patients compared with the control group. These results suggest that MS is a possible etiological factor in temporomandibular disorders.